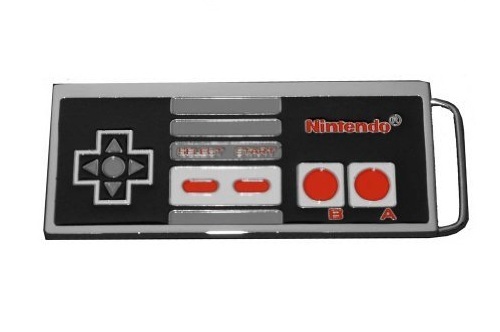 This officially licensed Nintendo belt buckle is one of the better representations of that classic 8-bit controller. Made from solid metal, it is roughly 5″ x 2″ and has the classic NES paint scheme. Pull your pants up and put your NES Belt Buckle on, you’re going out tonight!